Henry G. Stott, AIEE President, 1907 - 1908, the assistant engineer of Buffalo, New York’s underground cable and conduit system. In 1901, he became the supervisor for the Interborough Rapid Transit System in New York City. 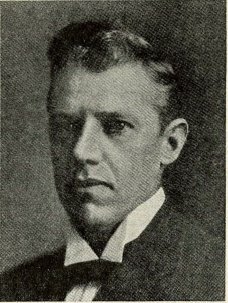 Stott was AIEE president from 1907 to 1908. HENRY GORDON STOTT was for many years active in the design, construction, and operation of the power systems supplying subway, elevated, and surface lines of New York City. He was also a firm believer in cooperation among engineers, through the agency of engineering societies, and devoted much of his time and ability to the welfare and development of these professional organizations. He was born at Stennis, in the Orkney Islands, Scotland, May 13, 1866. After preliminary study he was a student at the Watson Collegiate School, Edinburgh, and then entered the college of Arts and Sciences at Glasgow, graduating in 1885 from a course in mechanical engineering and electricity. In the previous year he had entered the employ of the Electric Illuminating Company of Glasgow. Upon graduation he was assistant electrician on the S.S. "Minia," belonging. to the Anglo-American Telegraph Company, and for four and a half years saw much service in connection with repairs to telegraph cable lines. In 1889 Mr. Stott was made assistant engineer of the Brush Electric Engineering Company plant at Boumemouth, England. The following year he became assistant engineer in the construction of underground cable and power plants at Madrid, Spain, for Hammond and Company. In 1891 he came to the United States to install an underground cable and conduit system at Buffalo, N. Y., for what was then the Buffalo Light and Power Company, becoming engineer of the company shortly thereafter. From that time until 1901 he was one of the most active figures in the industrial progress of Buffalo. In 1901 he was appointed superintendent of motive power for the company which later became the Interborough Rapid Transit Company, of New York City. Before starting actual work, it was necessary for him to organize an operating force. In 1904 he undertook the construction of a power plant for the Interborough Rapid Transit Company, and from that time until his death on January 15, 1917, he was in charge of the design, construction, and operation of the power generating stations and the distributing system of the Interborough. Mr. Stott served the Institute as a member of the board of directors for 3 years preceding his presidency, and was a member of a number of the Institute's committees. He served as a vice-president of The American Society of Mechanical Engineers, 1912-14, director of the American Society of Civil Engineers, 1911, and was vice-president and trustee of United Engineering Society at the time of his death. Mr. Stott was known for his minute analysis of engineering problems, and he had passed his information on to others through the presenting of a number of papers before the Institute and other societies. Mr. Stott was a remarkable figure in the engineering world because he was in the front rank of both electrical and mechanical engineers, because in both branches of the art, he was a master of theory and practice, and because with these technical qualifications he combined a rare executive ability, a power of inspiring the confidence of his employees and of bringing out the best that was in the men who worked for him. This page was last edited on 14 February 2019, at 16:08.